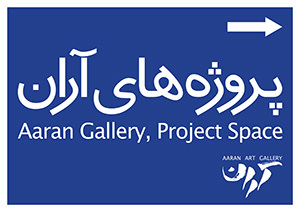 Opening at Aaran Projects on 27th October. No. 5, Lolagar st., Neauphle Le Chateau. Working days, except Saturdays 1-7 PM and Fridays 4-8 PM. For his first solo exhibition in his home country, Hossein Valamanesh has carefully chosen works that reference many angles and layers of his practice. Pure forms of geometry that are closely connected to natural elements such as fire, earth, and wood, next to works that have deep roots in Persian culture will offer an insight to the probing mind of this artist. The spatial qualities of his oeuvre are manifested in his smaller works but are more visible in his site-specific works. In his public works, he creates a portal between urban life and the natural world while the locality and circumstances of these sites are evidently of the utmost importance to the artist. The same care and attention are paid to the choice of works of this exhibition and their engagement with the space of the gallery. His practice is rooted in the earth but veiled and delicate references point to that which lies ‘beyond’; there is an overall expression of lightness, at the same time the wisdom engulfing his practice can be traced in every line and word. His engagement with nature and the universe is easily recognizable and reveals a humanity that attracts the viewers. Many of the works are rooted in the rich poetry of Iran both literally and in form. There are traces and layers of personal and social history of the life of an artist who has benefited from two very different cultures, one of his motherland and the other of his adopted country. While each work stands on its own merits, together they offer a hieroglyphic script. 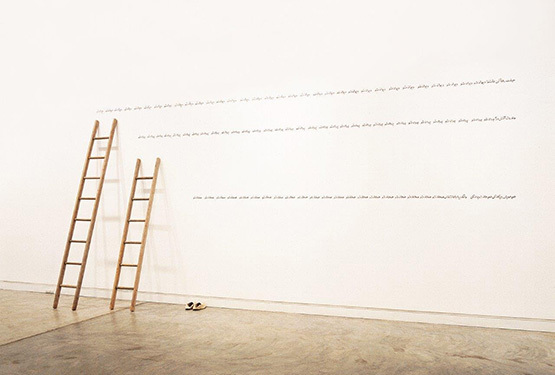 Inscriptions that are visually attractive and represent real or illusional elements and concepts; an indicator of the interconnectedness that is vital to his practice and his fascination with the core of things. Influenced by the Aboriginal art of Australia, and benefiting from the simplicity of the method used by them, his works also evoke ritualistic ideas and are sometimes visibly simplified ideas or forms. Hossein Valamanesh’s engagement with nature and universe and his absolute devotion to art is self-evident and at last Iranian viewers will be able to marvel at the lightness of his being and the strength of his soul. In his words: My art is about not separating elements such as aesthetics, content, and form from each other. A door is opened and a glimpse of reality is sensed and one realizes its ephemeral nature.